It’s easy to think of film music as an afterthought. After all, the nature of film production is such that it’s the composer who gets to work on the film last of all. 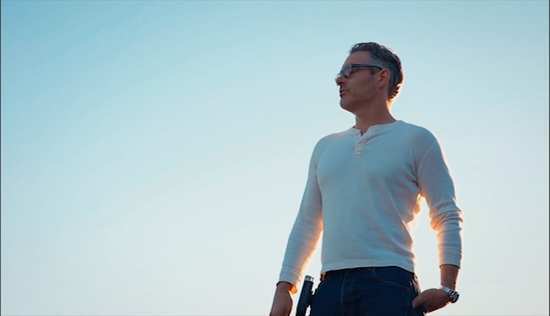 It goes all the way from script, to casting, preproduction, filming, editing, special effects and more, and only when the film is locked down, almost ready for release, does the composer start putting their music to the images. But the fact of the matter is that often, a film’s soundtrack is as important as the foundations of a house, in a weird world where you could lay the foundations after the house has been built. Get the music wrong, and the film’s structure can fall down. A few years ago, a wheeze had the bright idea of taking Star Wars final scene, the triumphant medal ceremony, and removing John Williams’ music from it. It’s still out there on Youtube if you care to search, and it’s unintentionally silly. The importance of music in film can’t be discounted, nor can the importance of film music itself. 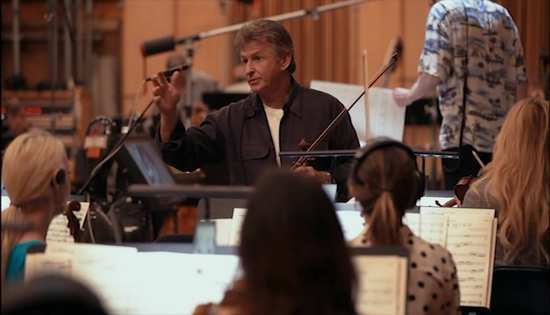 After all, it’s really the film and TV soundtrack composers that keep orchestral music vibrant and thriving in a world where popular music is more ephemeral and smaller in scale. 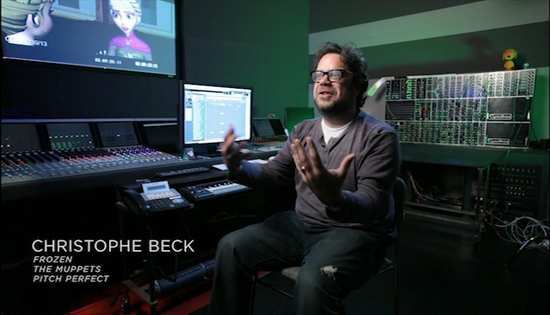 It’s to celebrate the work of the film composer that Score: A Film Music Documentary has been made, featuring interviews with some of the more prolific and memorable composers of modern film music, as well as examples of their finest works. They’re the reason why you’ll be humming the theme on the drive home from the cinema, and why the film will stay with you for months after you’ve watched it. The film gets a 1.78:1 anamorphic NTSC transfer on this disc, although with the thin black bars either side, it’s more 1.75:1. The image is clear and sharp throughout, no issues with compression, and it’s encoded progressively on this disc for those with compatible players. The audio is available in DD 2.0 Stereo or 5.1 Surround form, and with the music on offer, the surround is the preferable option, with the NTSC format allowing you to hear it without the usual pesky PAL speed-up. Unfortunately, subtitles are absent on this release. The disc boots to a static menu, and comes with some interesting extra features. You get a nice audio commentary from director Matt Schrader that adds some nice background to the interviews. 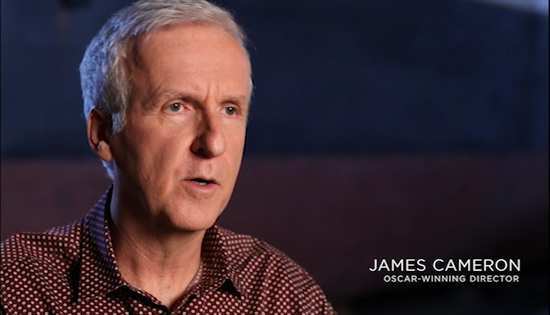 Speaking of which, you get the interview with James Cameron here, briefly excerpted in the documentary, but which runs to 29:00 in full, and serves as a tribute to frequent collaborator James Horner. You also get little snippets with some of the composers interviewed, offering further insights that didn’t quite fit into the documentary. You have 43 seconds of Sounds of NYC with J. Ralph. Inside the Hans Zimmer Mind lasts 1:51. Bear McReary Rocks the Hurdy Gurdy lasts 7:11. Harry Gregson Williams at the Piano lass 3:26. Tyler Bates Guitarviol lasts 6:07. Finally there is the theatrical trailer which lasts 2:19. I knew that Danny Elfman was in Oingo Boingo. I didn’t know that Hans Zimmer was in Buggles. 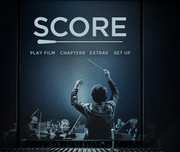 Score is like that, offering quite a bit of familiarity, and odd moments of revelation, such as the average composer’s utter disdain for the temp track, something that directors tend to see as a useful explanatory tool. If you’re a dedicated collector of films and TV on DVD and Blu-ray, Score might not be the indispensable documentary that you might hope for. Laserdisc might have started the trend, but with DVD, extra features became standard with films, and you will find titles where you get significant insight into the work of the film composer. 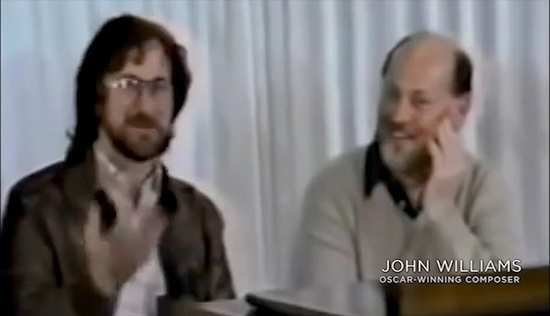 You can learn how John Williams works on the Star Wars discs. You get isolated music scores on the Alien films and more, so you can appreciate the film composers’ work without distraction from dialogue. 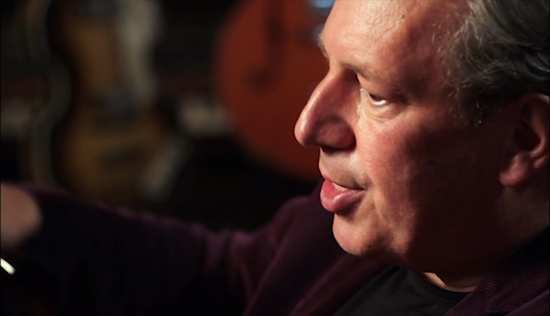 See how Hans Zimmer and Christopher Nolan collaborate on the Batman and Interstellar discs. Randy Newman has an audio commentary on The Pleasantville disc. You can discover Bear McReary’s love for esoteric instruments beyond just the Hurdy Gurdy on the Battlestar Galactica Blu-rays. There is so much in-depth and detailed documentation on the work of film composers out there, that you just need to seek it out. Let’s face it. That is where Score comes in. Who has the time these days to watch the extra features on all their discs? If you’re a fan of cinema, then a ninety minute showcase of the finest composers working in Hollywood today is a far more convenient way to access this knowledge, and if it inspires you to learn more about your favourite film composer, it can only be a good thing. 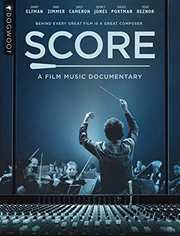 Score features interviews with dozens of film composers, as well as filmmakers, musicians, and film academics. 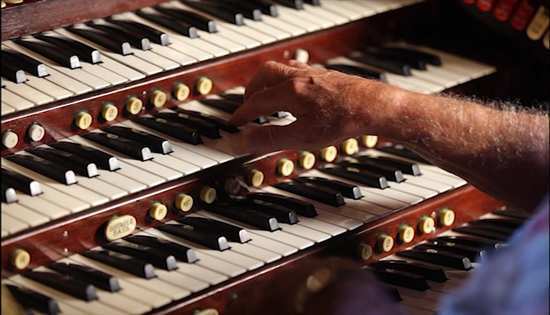 It’s got two narrative threads working its way through the documentary; one is the history of film music in Hollywood, beginning with the ‘silent’ era, when pianists and organists in theatres used to play the score live to accompany the movies. It works its way through the invention of sound on film, the advent of the orchestral film score (as late as King Kong), and the changing fashions in film music from then to the modern era, with the notable film composers through history. The second thread working its way through the film is the process. It’s about how films are scored, the collaboration between director and composer to find the film’s themes, the emotions that are being conveyed, how the story is to be told. It takes us through the spotting sessions, through the search for inspiration, finding the motifs, all the way to the recording sessions with the orchestra. The film highlights these things with contemporary and archive interviews, behind the scenes footage, all showing how different composers approach these challenges in differing ways. 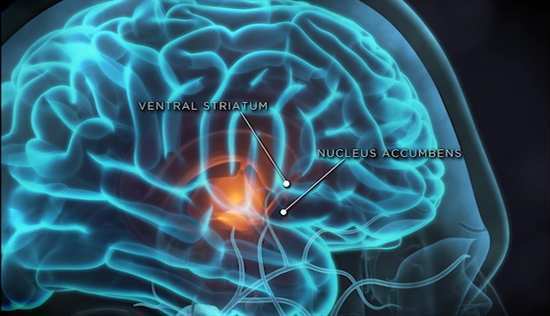 There’s also a brief aside looking at the psychology and the physiology of how music works on the human brain, which goes some way to explaining why my favourite movie soundtracks are usually the ones that I don’t actually ‘hear’. What Score does is it distils all those DVD and BD extras that I mentioned a few paragraphs back, finds the essence of what modern film composition is as a general art form, and explains it in a succinct, engaging and entertaining 90 minutes. And as always, once you think about it, 90 minutes is nowhere near enough time. By necessity, and despite its recounting of history, Score’s emphasis is on modern film composers, and modern cinema. For example, Ennio Morricone’s score for The Good, The Bad, and the Ugly is the only Western score mentioned. You could get petty and start wondering why no mention of Elmer Bernstein’s score for The Magnificent Seven, and so on and so forth for all the other genres touched upon. 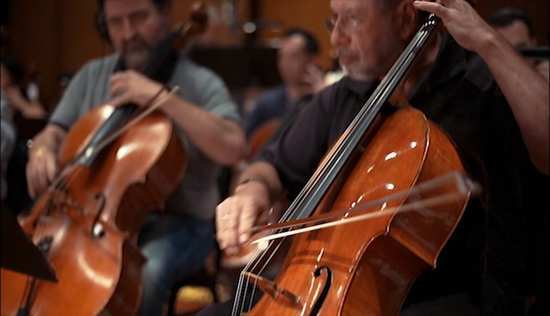 The documentary is also about orchestral composition for theatrical feature films, which leaves out so much more. Despite a brief burst of West Side Story, the whole genre of the Hollywood Musical is beyond the scope of this film, as is the prominence of pop music in feature films, certainly a mainstay of the films of my childhood back in the eighties. Finally, this film is purely about Hollywood, and there’s is a world of cinema out there, a world of film music. Once again, the only ‘foreign’ film mentioned here is The Good, The Bad and the Ugly. Score accomplishes what it sets out to do with aplomb. It opens the door on the fascinating world of the film composer, and it entertains and informs along the way. You’ll be satisfied with what you learn here, but you’ll also probably be inspired to find out more. This is one time where it will be easy beyond belief to do so. If you came to Score, then you are a film fan. If you are a film fan, you will have a DVD and Blu-ray collection, and you’ll probably have skipped those extra features, like me saving them for that ever elusive free time I will one day have. It’s time to dig out those discs and seek out those composer interviews, those behind the scenes recording sessions, those isolated scores and bask in the genius of those who keep the art of orchestral composition alive and relevant.